It is a common problem among most kids, these days, that they are almost, always reluctant to go and play outside. They are addicted to their computer and stay glued to the sofa or their bed playing games. In fact, so much so, that you may end up thinking that today’s kids have a much lower amount of energy and all they want to do is stay behind doors slacking by the television or playing with the joystick. But exercising is something that is an imperative for their health and with which they just cannot compromise. Under such circumstances, what should you do to persuade them so that they will go out and engage in activities that will be beneficial for their health? Well, herein comes up the trampoline games. Take them out and introduce to them the various activities of fun that they can engage in. Playing games on the trampoline is not only a fun activity but it is also a great way of losing more weight, one can burn about 70% more calories than that of jogging, leading to about 1000 calories per hour. 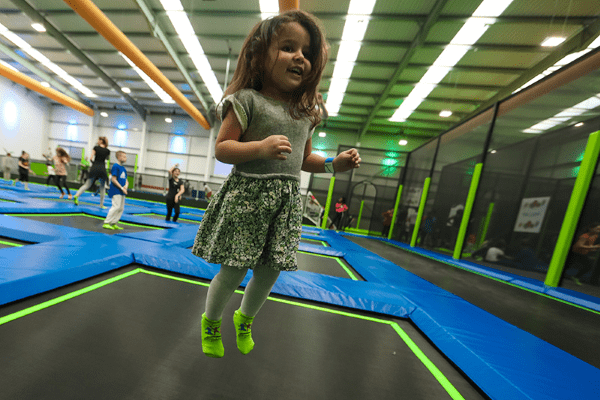 Trampolines games are not only the sources of great fun but they also have long term benefits like they have an impact on the body by enhancing their coordination, movement skills and body control which ultimately lead to overall benefit of the body. As parents, the trampoline games will turn out to be absolute blessings. Read on to know some exciting games that your kids can play on the trampoline. This way they will be healthy in a fun way. 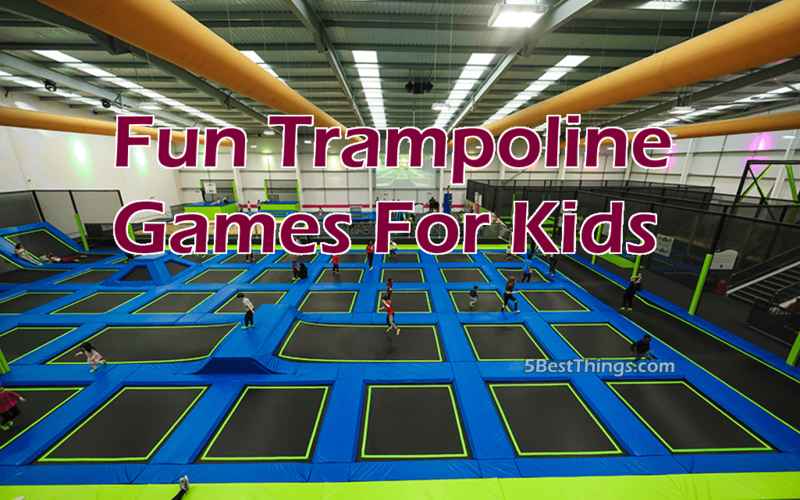 This is one of the most popular trampoline games that you can play ever. The game is won by the last one standing. You need, at least, two players for this but, of course, you can have more. The rules are simple. Firstly, all the kids must warm up a little bit. Then, upon agreement, they drop on their bums and then they jump again to land on their feet. Every player is allowed just once bum bounce and one feet bounce. If anyone does double of any of the two, that person loses. The game becomes more exciting when the adults and kids play together primarily because of the weight differentiation. This one is another one of the most famous and loved trampoline games. So in this case, there has to be one person who sits in the middle of the trampoline by clutching their knees and holding them tight to their chest. What the other one does is that he or she jumps on the trampoline and tries to get the sitting person’s arms to open up just like a popcorn and hence the name. This game is particularly effective in case of enhancing the sensory experience of the kids. Here you have to first put a number of balls on the trampoline. Then you have to pretend as if the balls are poisonous and therefore, stay away from them. So you have to jump whenever a ball is coming near to you. The magic of the game lies in the fact that balls always roll over arbitrarily and so it is hard to guess towards whom it will come over. For enhancing the sensory experience in the game, you may add other types of items like that of stuffed toys, pillows, crumbled tin foils and so on. 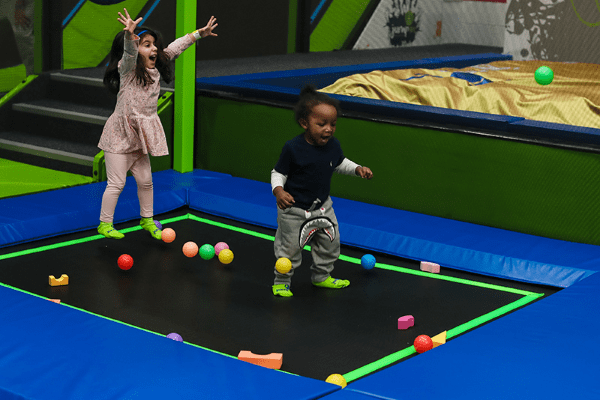 The above are some of the fun trampoline games that you must try to make your kids exercise vigorously without even knowing that they are working out. 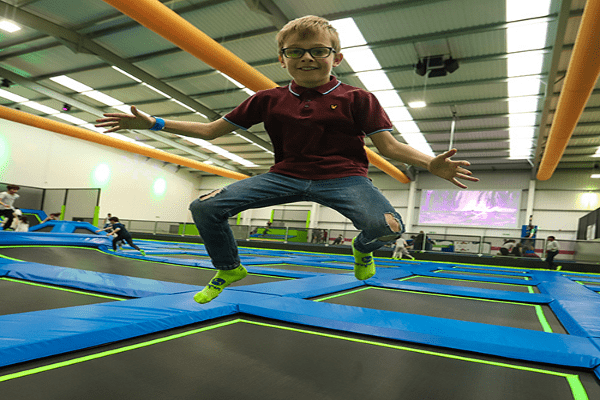 You can also play these exciting trampoline games in the kids parties in Aberdeen where they can have the time of their life playing them.